Scrapping Article 370 will end relationship between India and Jammu and Kashmir: Farooq Abdullah. 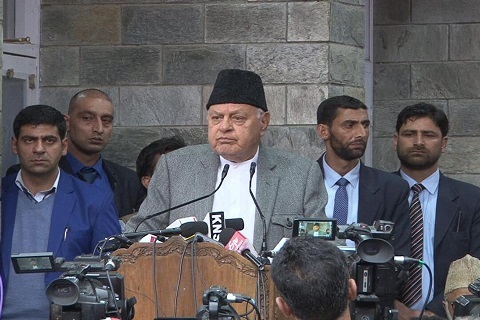 National Conference president Farooq Abdullah on Tuesday dared the Government of India to scrap Articles 370 and Article 35 A, saying it will end the relationship between the state and India.“I dare them to even touch Article 370 and 35A,” said Abdullah during a party convention in Ganderbal. He said if they say these constitutional provisions are temporary then accession is also temporary and they have to be ready for that as well.“Amit Shah and Arun Jaitley said they will abolish Article 35A and Article 370. 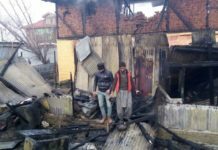 Let them do it, we will also see how they can do it,” said Abdullah, who is seeking his election from Srinagar parliamentary seat. He said the relationship between Jammu and Kashmir and New Delhi will be over if Article 370 is scrapped.Hitting out PM Modi, Abdullah said that he was not the only person capable of running the country. “He is an actor and I have never seen such an actor till now,” said Abdullah. Previous articleFully prepared to meet challenge of ceasefire violations: BSF DG. Next articleCrime branch to probe JKPCC scams.